After much contemplation I have decided to take a break from Celebrate Quilts for 2019 for several reasons. 1. My son is getting married next year and I will be involved in the planning of that. 2. My physical health is challenging me right now (I’m okay, just trying to learn how to manage my aging body). 3. I need to decide if I want to continue to put the event together when attendance has dwindled so much. I have help from friends when they are available, but I am no longer able to spearhead this alone. I think a year off might help me regroup my thoughts about how to make it a successful, rewarding experience for all of us. So keep quilting. I will. And I will keep the Facebook page and the website active. 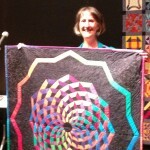 Send me pictures of your projects from Celebrate Quilts in the past. I love interacting with all of you, and appreciate your support over these past few years. I’ll see a lot of you at Coconino Quilter’s Guild meetings, some of you at their retreat, and hopefully the rest of you at other various quilting events. The Meet and Greet, and Keynote Speaker will be at the American Legion Hall 204 W. Birch Street. The Keynote Speaker, Helen Frost, will be on Thursday night at 7pm at the American Legion Hall. This is free and open to the public, sponsored by Coconino Quilters Guild. Bring your friends and family! Meet & Greet with the Teachers Thursday, 6-7pm at the American Legion Hall Meet the teachers as they introduce themselves and their classes, meet your fellow campers, and win door-prizes from the teachers! Pajama and Pizza Party Friday 7pm-? 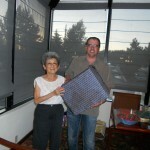 At the Odegaards STAY AND SEW RETREAT HOUSE $10 Prizes for best PJ’s, open quilting room with prizes every hour. Pizza is included! Door prizes will only be given to those who wear their PJs! Prizes for best, worst, cutest, most outrageous PJs. Helen and Gina will be hosts! 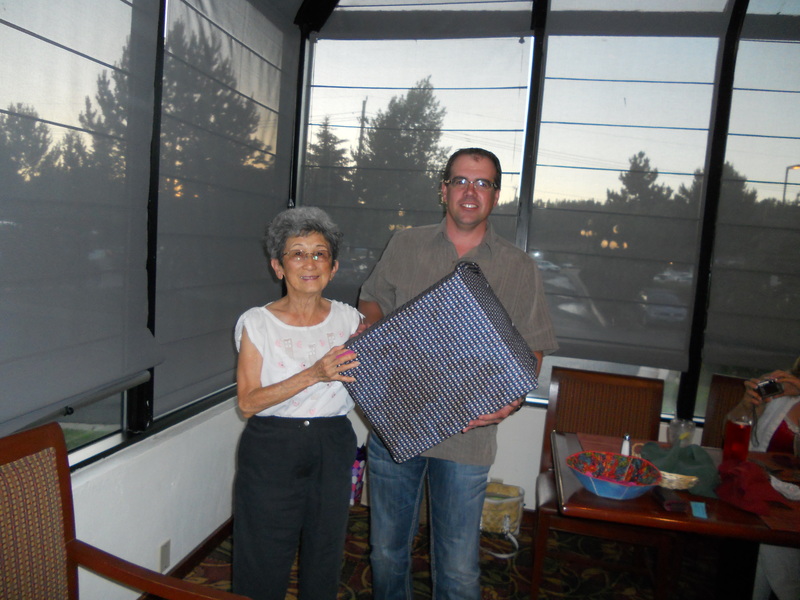 Show and Tell Saturday, 7-8pm FREE after the Awards Dinner in the restaurant. 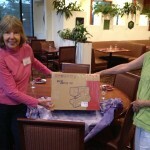 We are moving the event to have most classes at Odegaard’s Sewing Center. We will also have classes at their retreat center which is about 10 minutes away. Since most attendees have their own accommodations in Flagstaff, we have reserved the retreat center for those who normally would get a hotel. It will be much more affordable. It sleeps 10-12 people and has a classroom. More info is available on the registration and accommodations page. Classes will run from 9-12, and 1:30-4:30. More time to eat and/or shop. Gift Bag Exchange on Saturday. 12:15-1:15 Brown Bag lunch. 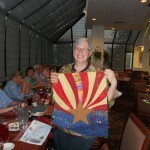 Come get to know your fellow quilters and share in the fun. See here for details. Block Exchange Event. Participate in the block exchange at lunchtime on Friday and go home with enough blocks for an entire quilt. See details on the Classes page, Friday. 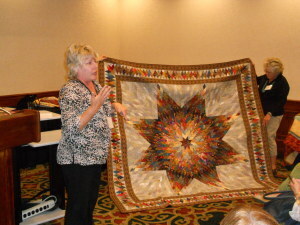 *Daily classes with national and regional quilt teachers! 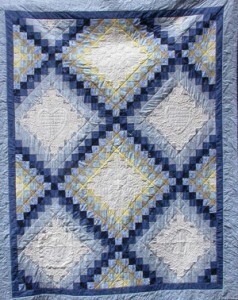 *Easy Peasy Lemon Squeezy – 1 hour simple quilt project. Friday before the PJ party! Early registration fee is $30 before May 1. Classes will fill up fast, so don’t delay! Classes are filled on a first-come/first-serve basis. Online payment is available OR open and print the form, sign and send it in with payment.